I would like to take this opportunity to introduce myself as the New Lead Teacher of Maths at The Edge and to inform you of some of the exciting changes and improvements that we are making. To help support all students, we have recently purchased a Mathletics subscription. This electronic Maths learning platform is now available to all students both within school and at home- it contains a variety of games and quizzes based around what students are currently learning at school and has been proven to develop students’ progress in Maths. 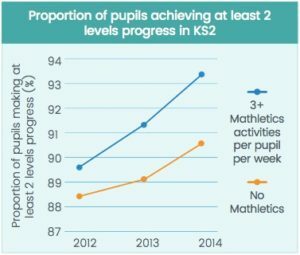 Recent research has even suggested that students that engage 3 or more Mathletics activities per week (for even as little as 20 minutes each time) are significantly more like to make 2 levels of progress a year. We are in the process of developing an intervention programme targeting the whole spectrum of the Maths syllabus but we see Mathletics as a key driver for improving students’ skills as a part of this. We therefore highly recommend that all students undertake the activities on Mathletics as regularly as they can as they are tailored to each student’s needs from Year 7 through to GCSE. All students have now received log-in details but if for any reason you need a reminder of them, please let me know. If you have any questions regarding Mathletics or Maths in general, please do not hesitate to get in touch with me at 0121 533 5858 or calum.hill@theedgeacademy.co.uk.